Body Oils: Tisserand, Home Health, Desert Essence, EO Products! Sea Buckthorn Seed Oil: Sea Buckthorn Seed Oil is made with 100% Sea Buckthorn Seed oil for fast, noticeable results. -- Beauty Treatment: Use nightly to lighten skin tone, even out texture, reduce blemishes and age spots so you can recapture your youthful appearance. -- Red/Sensitive Skin: Helps calm inflamed, problem areas for comfortable, soothe skin. -- Blemish Control: The powerful anti-microbial, anti-bacterial, and skin repairing properties has provided relief from all types of problem skin. Helps reduce blemishes or spot treat to prevent breakouts. -- First-aid: Apply to cuts, scrapes, minor burns or any damaged skin area to help speed up the healing process and prevent scarring. • Sea Buckthorn Seed Oil: 10 ml bottle w/ dropper tip. ORDER NOW! • Sea Buckthorn Seed Oil: 30 ml bottle w/ dropper tip. ORDER NOW! BODY LOTION: Sea Buckthorn Seed Oil, 10 ml. BODY LOTION: Sea Buckthorn Seed Oil, 30 ml. • Sea Buckthorn Berry Oil (Intensive Cellular Care): Sea Buckthorn Berry Oil offers a rich supply of Omega 7, Vitamins E and A, and SOD (superoxide dismutase) to make this Berry Oil valuable for your health and beauty routine. Sea Buckthorn is THE superior source of Omega 7 Fatty Acids (Palmitoleic Acid) for skin, hair and nail health. Omega 7 is hailed as a special nutrient that may protect, replenish, moisten and restore the skin and mucus membranes that line the digestive and urogenital tracts. Seabuckthorn Berry Oil a very effective beauty and age-defying product that is good for skin, gastrointestinal and urinary health, as well as hair and nails. 1.76 oz. ORDER TODAY! Ingredients: Palmitoleic Acid (Omega 7)30-35%, Oleic Acid (Omega 9) 25-30%, Linoleic Acid (Omega 6) 4-6%, Linolenic Acid (Omega 3) 2-4%. BODY LOTION: Sea Buckthorn Berry Oil, 1.76 oz. • Body Massage Oil Detox: A purifying body oil to eliminate, recondition and improve the skin. Ideal to boost a body cleansing and weight loss program. Contains hand blended oils used by professional therapists including: eliminating organic Juniper oil, astringent organic Lemon oil, and stimulating organic Black Pepper oil. Rich in skin conditioning vitamins, antioxidants and omega 6 & 9. 100ml/3.3 oz. ORDER NOW! • Body Massage Oil Muscle Ease: A calming body oil to revitalize muscles and joints after workouts, sports or general over-exertion. Can also be used prior to activity, or simply to melt away everyday tension and fatigue. Contains hand blended oils used by professional therapists including: reinforcing organic Ginger oil, relieving organic Lemongrass oil, and invigorating organic Rosemary oil. ORDER NOW! • Body Massage Oil Muscle Ease:100ml/3.3 oz. ORDER NOW! • Body Massage Oil Muscle Ease: 500ml/16.9 oz. ORDER NOW! • Body Massage Oil De Stress: A soothing body oil to still the mind and calm the senses. Helps to bring back harmony, tranquil and wellbeing. Contains hand blended oils used by professional therapists including: relaxing organic Lavender oil, comforting organic Marjoram oil, balancing organic Mandarin oil. Rich in skin conditioning vitamins, antioxidants and omega 6 & 9. 100ml/3.3 oz. ORDER NOW! • Body Massage Oil De Stress:100ml/3.3 oz. ORDER NOW! • Body Massage Oil De Stress:500ml/16.9 oz. ORDER NOW! • Body Massage Oil Energy Revive: An energizing body oil to re-charge a tired mind and body. Perfect in the morning to deliver get-up-and-go, or later in the day when stamina needs a increase. Contains hand blended oils used by professional therapists including: exhilarating organic Bergamot oil, energizing organic Grapefruit oil, and Balancing organic Lime oil. Rich in skin conditioning vitamins, antioxidants and omega 6 & 9. 100ml/3.3 oz. ORDER NOW! • Body Massage Oil Energy Revive: 100ml/3.3 oz. ORDER NOW! • Body Massage Oil Energy Revive: 500ml/16.9 oz. ORDER NOW! MASSAGE OIL: Body Massage Oil, 100 ml/3.3 oz. • Luxury Bath Oil Detox: A purifying Bath Oil to eliminate, recondition and improve the skin. Ideal to boost a body cleansing and weight loss program. Contains hand blended oils used by professional therapists including: eliminating organic Juniper oil, astringent organic Lemon oil, and stimulating organic Black Pepper oil. Rich in skin conditioning vitamins, antioxidants and omega 6 & 9. 100ml/3.3 oz. ORDER NOW! • Luxury Bath Oil Muscle Ease: A calming Bath Oil to revitalize muscles and joints after workouts, sports or general over-exertion. Can also be used prior to activity, or simply to melt away everyday tension and fatigue. Contains hand blended oils used by professional therapists including: reinforcing organic Ginger oil, relieving organic Lemongrass oil, and invigorating organic Rosemary oil. ORDER NOW! Ingredients: Cocos Nucifera (Coconut) Oil, Prunus Dulcis (Sweet Almond) Oil, C12-13 Pareth-3, Simmondsia Chinensis (Jojoba) Oil, Persea Gratissima (Avocado) Oil, Lavandula Angustifolia (Lavender) Oil, Rosmarinus Officianlis (Rosemary) Leaf Oil, Litsea Cubeba (May Chang) Oil, Zingiber Officinale (Ginger) Root Oil, Cymbopogon Citrates (Lemongrass) Oil, Mentha Piperita (Peppermint) Oil, Citrus Aurantium Bergamia (Bergamot) Peel Oil, Origanium Marjorana (Marjoram) Oil, Salvia Sclarea (Clary Sage) Oil, Tocopheryl Acetate, Citral, Limonene, Linalool, Geraniol, Citronellol. • Luxury Bath Oil De Stress: A soothing Bath Oil to still the mind and calm the senses. Helps to bring back harmony, tranquil and wellbeing. Contains hand blended oils used by professional therapists including: relaxing organic Lavender oil, comforting organic Marjoram oil, balancing organic Mandarin oil. Rich in skin conditioning vitamins, antioxidants and omega 6 & 9. 100ml/3.3 oz. ORDER NOW! • Luxury Bath Oil Energy Revive: An energizing Bath Oil to re-charge a tired mind and body. Perfect in the morning to deliver get-up-and-go, or later in the day when stamina needs a increase. Contains hand blended oils used by professional therapists including: exhilarating organic Bergamot oil, energizing organic Grapefruit oil, and Balancing organic Lime oil. Rich in skin conditioning vitamins, antioxidants and omega 6 & 9. 100ml/3.3 oz. ORDER NOW! • Anti Blemish Stick Tea Tree & Manuka: Anti-Blemish Stick helps deep cleanse and calms blemish-prone skin. Made in a light gel base to invigorate and gently soften. Blended with antibacterial organic Tea Tree oil, protective wild crafted Manuka oil, and astringent Witch Hazel. Perfect cosmetic purse size. Free from parabens and synthetic fragrances. 0.25 oz. ORDER NOW! Ingredients: Aqua (Water), Hamamelis Virginiana (Witch Hazel) Extract, Alcohol Denat., PEG-40 Hydrogenated Castor Oil, Melaleuca Alternifolia (Tea-Tree) Oil, Phenoxyethanol, Kunzea Ericoides (Kanuka) Leaf Oil, Acrylates/C10-30 Alkyl Acrylate Crosspolymer, Allantoin, Ethylhexylglycerin, Sodium Hydroxide, Limonene, Linalool. MASSAGE OIL: Luxury Bath Oil, 100 ml/3.3 oz. MASSAGE OIL: Anti Blemish Stick, 0.25 oz. • Beauty Oil Argan: Argan Beauty Oil is a rich-textured oil, obtained from the fruit kernels of the Moroccan Argan tree, enriched with skin-nutrient vitamins A and E and nurturing fatty acids. Argan Oil helps nurture, restore and protect skin. Great for dry or mature skin and for smoothing the texture of hair. Fragrance free. 1.65 oz. ORDER NOW! Ingredients: Argania Spinosa (Argan) Kernel Oil, Tocopherol (Vitamin E). • Beauty Oil Apricot Kernel: Apricot Kernel Beauty Oil is a light-textured oil, rich in Vitamins A and E, is ideal for normal or combination skin requiring a less intense level of nurture. Apricot Kernel Beauty Oil is cold-pressed from southern Mediterranean apricot fruit kernels. Fragrance free. 1.65 oz. ORDER NOW! Ingredients: Prunus Armeniaca (Apricot) Kernel Oil, Tocopherol (Vitamin E). • Beauty Oil Coconut: Coconut Beauty Oil is a light-textured oil rich in nurturing triglycerides and antioxidants. Coconut Beauty Oil leaves dry, normal or combination skin soft and supple and hair silky smooth. Coconut Oil is extracted from the flesh of the African coconut. Fragrance free. 1.65 oz. ORDER NOW! Apply 3-4 drops to fingertips and massage gently into the face and neck, or warm 3-4 drops in your hands and work slowly through damp hair. MASSAGE OIL: Beauty Oil Argan, 1.65 oz. MASSAGE OIL: Beauty Oil Apricot Kernel, 1.65 oz. MASSAGE OIL: Beauty Oil Coconut, 1.65 oz. Pure Blending Oil Grapeseed: Grapeseed oil performs well on any skin type from mature or damaged to normal skin types that needs a light textured oil to give smooth finish. Moisturizes and softens the skin. Naturally rich in Linoleic acid. Perfect for light facial and body massage. • Pure Blending Oil Grapeseed: 100ml/3.3 oz. ORDER NOW! • Pure Blending Oil Grapeseed: 500ml/16.9 oz. ORDER NOW! Pure Blending Oil Sweet Almond: Light textured and easily absorbed, Sweet Almond oil delivers penetrating nutrition to dry and even sensitive skins thanks to a blend of wonderful skin enhancing vitamins. Leaves dry or sensitive skin feeling soft and non-greasy. For general body and facial massage. Recommended for home use. • Pure Blending Oil Sweet Almond: 100ml/3.3 oz. ORDER NOW! • Pure Blending Oil Sweet Almond: 500ml/16.9 oz. ORDER NOW! MASSAGE OIL: Pure Blending Oil, Peach Kernel, 100 ml/3.3 oz. MASSAGE OIL: Pure Blending Oil, Wheatgerm, 100 ml/3.3 oz. MASSAGE OIL: Pure Blending Oil, Grapeseed, 500 ml/16.9 oz. MASSAGE OIL: Pure Blending Oil, Sweet Almond, 500 ml/16.9 oz. • Replenishing Organic Argan Oil: (W/Pomergranate & Rosehips) This exquisite blend of nature's most moisturizing and nurturing oils is packed full of essential fatty acids, vitamins and antioxidants. This multi-tasking formula can be used to soften dry skin, reduce the appearance of fine lines, soften cuticles and help seal split ends. Great for everyday use, this oil blend is fast absorbing and replenishes body, face and hair. Smoothens skin texture and tone; nourishes sun-damaged or irritated skin. 3.4 oz. ORDER NOW! Ingredients: Organic Carthamus Tinctorius (Safflower) Seed Oil, Organic Argania Spinosa (Argan) Nut Oil, Organic Simmondsia Chinensis (Jojoba) Seed Oil, Organic Cocos Nucifera (Coconut) Oil, Organic Hibiscus Sabdariffa (Hibiscus) Flower Extract, Organic Punica Granatum Linn (Pomegranate) Seed Oil, Organic Rosa Canina (Rosehip) Fruit Oil, Tocopherol (Vitamin E) . BODY LOTION: Replenishing Organic Argan Oil, 3.4 oz. • Everyday Body Oil French Lavender: This all over moisturizing formula is a stabilized combination of key beneficial oils to lightly hydrate and nourish all skin types. Aromatic French Lavender provides comforting and healing properties to nourish skin. Rich Jojoba Oils restores moisture and naturally replenishes skin health on a daily basis. Vitamin E a powerful antioxidant repairs skin and improves skin elasticity. 8 oz. ORDER TODAY! • Everyday Body Oil Cool Down: Renew and unwind after a workout with Menthol and Avocado Oil. Avocado Oil absorbs into skin quickly providing the gains of essential oils and cooling Menthol right where you need them. Helps calm down, restore and refresh your skin. Cool Down is fragranced with a blend of Lemon, Eucalyptus, Orange, Lemon Myrtle and Menthol essential oils for a rejuvenating and refreshing aroma therapeutic experience every time you use this invigorating body oil. 8 oz. ORDER TODAY! Ingredients: Carthamnus Tinctorius (Safflower) Seed Oil, Persea Gratissima (Avocado) Oil, Organic Sesamum Indicum (Sesame) Seed Oil, Prunus Armeniaca (Apricot) Kernel Oil, EO Essential Oil Blend [Citrus Medica Limonum (Lemon) Peel Oil, Eucalyptus Globulus Oil, Citrus Aurantium Dulcis (Orange) Peel Oil, Backhousia Citriodora Leaf Oil], Tococpherol (Vitamin E), Organic Menthol. • Everyday Body Oil Nourish: Nurture your skin with Argan Oil which contains high levels of antioxidants and conditioner for extra softness. Everyday Nourish Body Oil treats your skin with Virgin Coconut Oil, Apricot Kernel Oil, and Vitamin E. Blended with the essential oils of Lavender and Orange to enrich your senses. Use this everyday body oil in a calming massage, as a bath oil, or to relax and soften your skin. 8 oz. ORDER TODAY! Ingredients: Carthamnus Tinctorius (Safflower) Seed Oil, Organic Cocos Nucifera (Coconut) Oil, Organic Olea Europaea (Olive) Fruit Oil, Prunus Armeniaca (Apricot) Kernel Oil, Organic Argan (Argania Spinosa) Oil, EO Essential Oil Blend [Lavandula Angustifolia (Lavender) Oil, Lavandula Hybrida Oil, Citrus Aurantium Dulcis (Orange) Peel Oil], Tococpherol (Vitamin E), Organic Cocos Nucifera (Coconut) Flavor Extract. • Everyday Body Oil Good Love: Treat your skin some Good Love every day. Made with Monoi Oil, a Tahitian Coconut oil with Tiare (Gardenia) flowers, softening Olive Oil and exotic essential oils. Good Love is an invigorating blend of Rose Geranium, Lavender, Marjoram, Orange and Frankincense. 8 oz. ORDER TODAY! BODY LOTION: Everyday Body Oil French Lavender, 8 oz. BODY LOTION: Everyday Body Oil, 8 oz. Neem Seed Oil: Neem Seed Oil is cold pressed and provides in excess of 1500 ppm Azadirachtin, making this the highest potency Neem oil you can find. Apply sparingly several times a day as needed for skin or scalp. You may also add it to your favorite shampoo, massage oil or lotion. You may want to add a few drops of your favorite essential oil at time of application. Neem Aura Neem Oil has the highest Azadirachtin content in its most concentrated form. A little goes a long way. • Neem seed Oil: 1 oz. ORDER TODAY! • Neem seed Oil: 16 oz. ORDER TODAY! *Neem has been acclaimed as the miracle herb with enormous benefits for the skin, scalp and used as a dietary supplement. Neem Seed Oil 1 oz.aaaaaaaaNeem Seed Oil 16 oz. BODY LOTION: Neem Seed Oil, 1 oz. BODY LOTION: Neem Seed Oil, 16 oz. • Ayurvedic Body Oil: Intensely penetrating body oil with rich anti-aging ingredients. This moisturizing blend of oils including Carrot, Sweet Almond and Sesame is perfect for dry skin. Effective remedy available to slow the skin's aging process; gentle enough for the face. pH balanced. Also great for stretch marks. Suitable for all skin types. 4 oz. ORDER TODAY! Ingredients: Oils of Sesame Seed (Sesamum Indicum), Sunflower (Helianthus Anuus), Carrot (Daucus Carota Sativa), Sweet Almond (Prunus Dulcis), Wheatgerm (Triticum Vulgare), Rosemary (Rosmarinus Officinalis), Thyme (Thymus Vulgaris) and Cinnamon (Cinnamomum Zeylanicum); Tocopherol (Vit E). BODY LOTION: Ayurvedic Body Oil, 4 oz. • Castor Oil (Cold Pressed & Cold Processed): Comes from the bean of the castor oil plant, also called "Palma Christi" (because the shape of the leaf resembles "the palm of Christ"). The oil is a natural emollient which penetrates the surface layers of the skin, making it softer and more pliable. It is cold pressed and cold processed. Contains no artificial ingredients or preservatives of any kind. • Castor Oil (Cold Pressed & Cold Processed): 8 oz. ORDER NOW! • Castor Oil (Cold Pressed & Cold Processed): 16 oz.ORDER NOW! • Castor Oil (Cold Pressed & Cold Processed): 32 oz. ORDER NOW! Ingredients: Castor Oil. Cold Pressed & Cold Processed. BODY LOTION: Castor Oil, 8 fl. oz. BODY LOTION: Castor Oil, 16 fl. oz. BODY LOTION: Castor Oil, 32 fl. oz. • Vitamin E Oil (Skin Beauty Oil 9,000 IU): Natural Vitamin E is readily absorbed by the skin, and regular use leaves skin looking and feeling softer. 0.5 fl. oz. ORDER TODAY! Ingredients: Mixed Tocopheryls [Natural Vitamin E], 600 IU per ml. 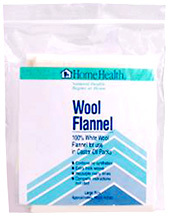 • Wool Flannel: 100% pure White Woll Fannel for use in Castor Oil Packs. This extra thick weave contains no synthetics, and is reusable many times. The effects of externally applied castor oil can be enhanced using a piece of wool flannel saturated with the oil and applied to the body. Comes with complete instructions for the preparation and application of a castor Oil Pack. ORDER TODAY! • Large: 18" x 24"
• Small: 12" x 18"
BODY LOTION: Vitamin E Oil, 9,000 IU, 0.5 oz. BODY LOTION: Wool Flannel, Large 18" x 24"
BODY LOTION: Wool Flannel, Small 12" x 18"
Massage Oil: Contains a special blend of conditioners and oils carefully selected to create the perfect skin texture, ideal glide and control for a full body massage. A rich set of base oils including apricot kernel oil, avocado oil, and aloe vera oil create significant glide for the duration of the massage, yet the Lotion completely absorbs into the skin, leaving no sticky residue. The Lotion is designed to penetrate, soften, stimulate, and nourish as it is absorbed into the skin. Khepra has formulated its Lotion with skin conditioners and beeswax in order to ensure the skin is receiving healing benefits even after the completion of the massage. 8 oz. ORDER TODAY! • Massage Oil Fragrance Free: 8 oz. ORDER TODAY! • Massage Oil Egyptian Aura: Blended with the scents and essential oils of Bitter Almond, Cedar wood, Eucalyptus, Frankincense, Lavender, Myrrh, Sandalwood and Tea Tree. 8 oz. ORDER TODAY! • Foot Balm: Helps purify, soften, and heal the feet all day with only one application. The Balm helps to eliminate dry skin, calluses, and deep fissures on the feet. Stops foot odor on contact and throughout the day. Natural moisturizers include aloe vera, olive oil, and jojoba oil. Eight essential oils specifically selected for the benefits they provide the skin and body. Creates ideal texture for foot massage and stops foot odor on contact. Eliminates the possibility of carrying any bacteria or fungus from the feet to other parts of the body. Dries on the foot during the massage so there is no mess after the massage. Heals cracked heels. Clinically proven, hypoallergenic, pleasant almond scent. Preferred by massage therapists for over 15 years. Recommended by over 350 Diabetes educators and pharmacists across the country 4 oz. ORDER TODAY! Ingredients: Deionized Water, Castor Oil, Olive Oil, Natural Beeswax, Stearic Acid, Glycerine, Cetyl Alcohol, Coconut Oil, Avocado Oil, Vitamin E, SD Alcohol 40, Aloe Vera Gel, Triethanolomine, Methyl Paraben, Propyl Paraben. Essential Oils: Frankincense, Grapefruit, Lavender, Myrrh, Sandalwood, Cedarwood, Eucalyptus, Gardenia, Tea Tree & Bitter Almond. BODY OIL: Massage Oil, 8 oz. BODY CREAM: Foot Balm, 4 oz. Almond Glow Skin Lotion: The rich, natural oils that make Almond Glow a wonderful moisturizing lotion for all-over skin care also make it an excellent massage oil. • Almond Glow Skin Lotion Almond: Leaves skin firm, relaxed, and amazingly soft, while deliciously fragrant with the scent of almonds. Moisturizes and revitalizes the skin. Excellent for massage. 8 oz. ORDER TODAY! • Almond Glow Skin Lotion Coconut: Rich in the antioxidant vitamin E, Coconut Oil is quickly absorbed into skin to give cells a delicious burst of hydration and nourishment. Coconut Oil's light, tropical scent makes it a natural favorite. Excellent for massage. 8 oz. ORDER TODAY! • Almond Glow Skin Lotion Jasmine: Jasmine oil has an intoxicating fragrance and is calming and moisturizing to the skin. Excellent for massage. 8 oz. ORDER TODAY! • Almond Glow Skin Lotion Lavender: Provides calming effect and its ability to relieve muscle tension. Gently cleanses skin, this multipurpose oil hydrates the skin, leaving a light, delicious fragrance. 8 oz. ORDER TODAY! • Almond Glow Skin Lotion Unscented: Gentle enough for even the most sensitive skin. Excellent for massage. 8 oz. ORDER TODAY! Ingredients: Peanut Oil, Olive Oil, Lanolin Oil, Almond Oil, and Tocopherol [Vitamin E]. MASSAGE OIL: Almond Glow® Skin Lotion, 8 oz. • Tea Tree Oil 100% Pure Australian: This leaf-derived essential oil from the arid plains of eastern Australian is an abundant source for retaining healthy, glowing skin. Its essential antiseptic qualities effectively treats problem skin with regular use and deep-cleans pores and helps relieve redness. For external use only. • 100% Australian Tea Tree Oil: 0.5 oz. ORDER NOW! • 100% Australian Tea Tree Oil: 1 oz.ORDER NOW! • 100% Australian Tea Tree Oil: 2 oz. ORDER NOW! BODY OIL: 100% Australian Tea Tree Oil, 0.5 oz. BODY OIL: 100% Australian Tea Tree Oil, 1 oz. BODY OIL: 100% Australian Tea Tree Oil, 2 oz. • Eco Harvest Tea Tree Oil: Eco-Harvest Tea Tree Oil-a 100% pure, ecologically-harvested tea tree oil is guaranteed free of herbicides, pesticides, and chemicals. Helps effectively treat problem skin with regular use and with its known antiseptic, calms skin and reduces redness. Great for use in laundry or cleaning around the house. For external use only. • Eco Harvest Tea Tree Oil:0.5 oz.ORDER NOW! • Eco Harvest Tea Tree Oil:1 oz. ORDER NOW! • Eco Harvest Tea Tree Oil:2 oz. ORDER NOW! BODY OIL: Eco Harvest Tea Tree Oil, 0.5 oz. BODY OIL: Eco Harvest Tea Tree Oil, 1 oz. BODY OIL: Eco Harvest Tea Tree Oil, 2 oz. 100% Pure Jojoba Oil: Jojoba oil is a natural, time-honored moisturizer for skin and hair. Suitable for even the most sensitive skin, it penetrates quickly after application, and also makes for an enriching aftershave moisturizer. Moisturizes skin without leaving any oily residue. Effectively cleanses clogged pores. Helps prevent flakiness when massaged on scalp. • 100% Pure Jojoba Oil:2 oz.ORDER NOW! • 100% Pure Jojoba Oil: 4 oz. ORDER NOW! • Organic Jojoba Oil: Organic Jojoba Oil is a natural, time-honored moisturizer for skin and hair. Helps hydrate skin without leaving any oily residue, effectively cleanses clogged pores, and prevent flakiness when massaged on scalp. Suitable for even the most sensitive skin, absorbs quickly, makes for an enriching aftershave moisturizer. 4 oz. ORDER TODAY! BODY OIL: 100% Pure Jojoba Oil, 2 oz. BODY OIL: 100% Pure Jojoba Oil, 4 oz. BODY OIL: Organic Jojoba Oil, 4 oz. • Tea Tree Oil Kinder To Skin Australian: A water-soluble formula of Tea Tree Oil and Natural Grain Alcohol suited for direct application on sensitive skin and minor skin irritations. Helps treat blemishes and problem skin areas; and calms minor insect bites and stings. Also helps effectively used in vaporizer for congestion relief. 4 oz. ORDER TODAY! Ingredients: Grain Alcohol, Tea Tree Oil (Melaleuca alternifolia), Polysorbate 20. • Tea Tree Oil Organic: This leaf-derived essential oil is a rich source for maintaining healthy, clear skin. Helps effectively treat problem skin with regular use and deep cleans pores and helps relieve redness. Its essential antiseptic qualities make it suitable for everything from skin care, household cleansing to a therapeutic pedicure treatment. For external use only. 0.5 oz. ORDER TODAY! Ingredients: 100% Pure Certified Organic Australian Tea tree Oil (Melaleuca Alternifolia). • Tea Tree Oil Organic Lavender: Blended with fragrant Lavender Oil and the antiseptic properties of Tea Tree Oil helps calm and comfort problem skin. Offers relaxing aromatherapy and can also be used to freshen laundry. Mix with water to make a natural and effective surface cleaner. For external use only. 0.6 oz. ORDER TODAY! Ingredients: Organic Lavandula Angustifolia (Lavender) Oil, Organic Melaleuca Alternifolia (Tea Tree) Oil). BODY OIL: Kinder to Skin Tea Tree Oil, 4 oz. BODY OIL: Organic Tea Tree Oil, 0.5 oz. BODY OIL: Organic Lavender Tea Tree Oil, 0.6 oz. • Vitamin E Oil (40,000 IU): An exceptionally healing blend of pure Vitamin E, Grapeseed and Calendula Oils. Absorbs quickly, offering excellent moisturizing and antioxidant benefits to extremely dry skin. External use only. 2 fl. oz. ORDER TODAY! INGREDIENTS: Pure Vitamin E (40,000 IU) with Grapeseed Oil, Calendula Oil. • Vitamin E Oil (32,000 IU) Roll-On: Packed into an easy-to-apply bottle with a roller-ball top. Quickly absorbs to help heal and revitalize skin. Excellent for helping to reduce the appearance of scars and stretch marks. External use only. 1.1 fl. oz. ORDER TODAY! BODY OIL: Vitamin E Oil (40,000 IU), 2 fl. oz. BODY OIL: Vitamin E Oil (32,000 IU), Roll-On 1.1 oz. • Natural Vitamin E Oil (Skin Beauty Oil 9,000 IU): Natural Vitamin E is readily absorbed by the skin, and regular use leaves skin looking and feeling softer. External use only. 0.5 fl. oz. ORDER TODAY! BODY OIL: Natural Vitamin E Oil, 9,000 IU, 0.5 fl. oz. • Vitamin E Oil (5,000 IU): Vitamin E Oil 5,000 IU bathes your body in healthy, anti-oxidant rich moisture. Pure, Vitamin E Oil plus 5 essential natural oils of Almond, Apricot, Avocado, Sunflower and Wheat Germ renew skin’s softness. Use alone on dry spots all over the body, or add a few drops to your favorite JĀSÖN® Hand and Body Lotion. For silkier skin use where necessary and as often as you like. On face, body, arms and legs --- anywhere dryness appears. Continued use will ensure that dryness disappears.This product is made for use as a skin moisturizer. External use only. 4 fl. oz. ORDER TODAY! Ingredients: Helianthus Annuus (Sunflower) Seed Oil, Carthamus Tinctorius (Safflower) Seed Oil (1), Tocopheryl Acetate, Tocopherol, Oryza Sativa (Rice) Bran Oil, Prunus Amygdalus Dulcis (Sweet Almond) Seed Oil, Prunus Armeniaca (Apricot) Kernel Oil, Persea Gratissima (Avocado) Oil, Triticum Vulgare (Wheat) Germ Oil, Lecithin. • Vitamin E Oil (14,000 IU): Vitamin E Oil 14,000 IU naturally conditions especially dry areas including damaged cuticles, and rough patches on heels, knees and elbows. Just a drop will give you instant relief. Rich Vitamin E and Avocado Oils nourish and protect for skin that feels instantly softer and smoother. Contains healthy nutrients that locks in moisture for around the clock protection to recapture the exhilarating glow of your complexion. Use to save yourself from common dry skin problems. External use only. 1 fl. oz. ORDER TODAY! Ingredients: Tocopheryl Acetate, Carthamus Tinctorius (Safflower) Seed Oil, Helianthus Annuus (Sunflower) Seed Oil, Oryza Sativa (Rice) Bran Oil, Persea Gratissima (Avocado) Oil, Benzyl Benzoate, Benzyl Salicylate, Citronellol, Eugenol, Geraniol, Limonene, Linalool, Fragrance (Parfum). • Vitamin E Oil (32,000 IU): (Extra Strength Oil – Scar & Stretch Mark Treatment) Vitamin E Oil 32,000 IU Extra Strength is a super rich, emollient treatment, perfect to target problem areas. With use, its skin smoothing, antioxidant power helps minimize the appearance of scars and stretch marks. Sensitive areas can be treated topically with this pure Vitamin oil. External use only. 1.1 fl. oz. ORDER TODAY! • Vitamin E Oil (45,000 IU):Vitamin E Oil 45,000 IU is a Maximum Strength facial treatment that combines Vitamin E Oil with our exclusive blend of 7 essential natural oils, including Black Current, Evening Primrose, Macadamia Nut and Borage. Use at night to help reduce the appearance of fine lines and wrinkles. External use only. 2 oz. ORDER TODAY! Ingredients: Tocopheryl Acetate, Helianthus Annuus (Sunflower) Seed Oil, Carthamus Tinctorius (Safflower) Seed Oil, Borago Officinalis Seed Oil, Camellia Sinensis Leaf Oil, Macadamia Ternifolia Seed Oil, Oenothera Biennis (Evening Primrose) Oil, Ribes Nigrum (Black Currant) Seed Oil. • Soothing Aloe Vera Beauty Oil: Organic Aloe Vera Oil delivers natural, instant dry skin relief. Known for its healing properties, Aloe Vera Oil has been used for generations to help soothe discomforts of sunburn and minor wounds. Instantly relieves dryness and protects against sun damage. Rich and nourishing, this skin softening Organic oil soothes and cools. This Pure Beauty Oil leaves skin satiny smooth. Ideal for normal to oily skins, yet mild enough for sensitive skins. Use as necessary, on face, arms, legs, etc. External use only. 1 oz. ORDER TODAY! Ingredients: Helianthus Annuus (Sunflower) Seed Oil, Aloe Barbadensis Leaf Juice, Carthamus Tinctorius (Safflower) Seed Oi. • Purifying Tea Tree Oil (Pure Oil): Pure Tea Tree Oil delivers natural, skin relief. Known for its antimicrobial and antiseptic properties, Tea Tree Oil has been used for generations as a natural bacteria fighting topical oil. External use only. 1 oz. ORDER TODAY! • Purifying Tea Tree Oil (Organic Oil): Organic Tea Tree Oil delivers natural, skin relief. Known for its antimicrobial and antiseptic properties, Tea Tree Oil has been used for generations as a natural bacteria fighting topical oil. External use only. 1 oz. ORDER TODAY! Soothing Aloe Vera Beauty Oil, 1 oz. BODY OIL: Vitamin E Oil, 32,000 IU, 1.1 oz. Purifying Tea Tree Oil/Pure, 1 oz. BODY OIL: Vitamin E Oil, 45,000 IU, 2 oz. Purifying Tea Tree Oil/Organic, 1 oz. • Vitamin E Skin Oil 14,000 I.U. : This fragrance-free, hypoallergenic Vitamin E Oil intensely penetrates to replenish and condition skin. With 14,000 IU of Vitamin E with pure Safflower Oil helps hydrate, calm, soften and moisturize dry, rough skin and reduce the look of fine lines and wrinkles. Vitamin E helps protect the skin's fatty acids, fight free radicals, and prevent and minimize the signs of aging. Ideal for normal to dry, or sensitive skin. 100% vegan, cruelty-free, paraben-free, sulfate-free, mineral oil-free, lanolin-free, gluten free, GMO-free. 2 oz. ORDER NOW! Ingredients: Tocopheryl Acetate (Vitamin E), Carthamus Tinctorius (Safflower) Seed Oil. • Tea Tree and E Oil: This "medicine kit in a bottle" combines a powerful 75% Tea Tree with 25% Vitamin E helps treat cuts, scrapes, blemishes, fungal issues, ringworm, blisters, rashes, insect bites, poison ivy, dermatitis and eczema. Tea Tree helps clearing blemishes, resolving fungal issues and fighting bacteria. Also helps dissolve insect toxin in existing bites to stop itching and aid healing. Made with Vitamin E to help stabilize the drying effect of Tea Tree, protect the skin's fatty acids, fight free radicals and moisturize skin. 1 oz. ORDER NOW! Ingredients: Melaleuca Alternifolia (Tea Tree) Leaf Oil 75%, Tocopheryl Acetate (Vitamin E) 25%. • Skin, Hair and Nail Oil: 1Recondition a natural radiance from head-to-toe with this all-in-one body treatment. Made with 100% pure plant oils (organic Argan, Jojoba and Kukui Oil) this light, nutrient-rich beauty oil help retain moisture for anti-aging skin benefits. Smooth moisture helps strengthen hair, increasing shine, softness and taming frizz. Deeply conditions dry, brittle nails and cuticles. Absorbs easily and penetrates deeply. 1 oz. ORDER NOW! Ingredients: Organic Argania Spinosa (Argan) Kernel Oil (98.0%), Organic Simmondsia Chinensis (Jojoba) Seed Oil (.5%), Aleurites Moluccana (Kukui) Seed Oil. • Soothing Facial Treatment Oil: Comfort, calm and stabilize sensitive skin with this concentrated Soothing Facial Treatment Oil treatment of 100% pure oils and Argan oil. Gentle, light soothing care helps reduce redness and blotchiness. Relieves and protects skin with a layer of rich moisture and nutrients. Perfect for all skin types particularly sensitive, red, easily irritated skin. 100% vegan, cruelty-free, paraben-free, sulfate-free, mineral oil-free, lanolin-free, gluten free, GMO-free. 1 oz. ORDER NOW! Ingredients: Carthamus Tinctorius (Safflower) Seed Oil, Cocos Nucifera (Coconut) Oil, Borago Officinalis (Borage) Seed Oil, Oenothera Biennis (Evening Primrose) Oil, Organic Argania Spinosa (Argan) Kernel Oil* (10%), Aleurites Moluccana (Kukui) Oil, Lavandula Officinalis (Lavender) Essential Oil, Vitis Vinifera (Grape) Seed Oil, Tocopheryl Acetate (Vitamin E). • Hydrating Facial Treatment Oil: Exclusive Hydrating Facial Treatment Oil is made with organic Argan and Marula Oils to deliver a concentrated boost of intensive moisture to dry, aging skin. The silky-sheer formula covers skin in antioxidant-rich moisture, locking in essential moisture for healthy tone, restored texture and suppleness. Can be used alone, mixed with conditioner or foundation for an added increase of healthy moisturization. 1 oz. ORDER NOW! Ingredients: Carthamus Tinctorius (Safflower) Seed Oil, Organic Argania Spinosa (Argan) Kernel Oil (12%), Organic Simmondsia Chinensis (Jojoba) Seed Oil (10%), Aleurites Moluccana (Kukui) Seed Oil, Olea Europaea (Olive) Fruit Oil, Cocos Nucifera (Coconut) Oil, Citrus Sinensis (Sweet Orange) Essential Oil, Tocopheryl Acetate (Vitamin E), Organic Sclerocarya Birrea (Marula) Seed Oil (.1%). BODY OIL: Vitamin E Skin Oil 14,000 IU, 2 oz. BODY OIL: Tea Tree & E Oil, 1 oz. BODY OIL: Skin, Hair and Nail Oil, 1 oz. BODY OIL: Facial Treatment Oil, 1 oz. • Hydration Plus Bath & Body Oil Lavender: Hydration Plus Bath & Body Oil Lavender is made with antioxidizing Rice Bran Oil, Lavender, Sweet Almond and Argan Oils. Apply this luxurious bath and body oil directly to skin for deep moisture, softness, and a warm glow. 8 oz. ORDER TODAY! Ingredients: Cold-pressed Rice Bran Oil, Sweet Almond Oil, Argan Oil, Steam-Distilled Lavender Essential Oil. • Bugger Off Outdoor Herbal Skin Oil: Fast-absorbing Bugger Off! Outdoor Herbal Skin Oil is an exclusive blend of botanical oils that will leave skin soft and deeply moisturized. Made with Catnip, Citronella and Rosemary to repel mosquitoes, biting flies, no-see-ums and other winged and menacing creatures of the wilderness! Bugger Off has a fresh outdoor herbal scent. 8 oz. ORDER TODAY! Ingredients: Rice Bran Oil, Catnip, Citronella Essential Oil, Rosemary Essential Oil, Vitamin E Oil (Non-GMO). • Vitamin E Oil 30,000 IU: Long revered as the skin's best natural beauty aid, Vitamin E smoothes on easily and deeply penetrates for maximum benefit. Helps to improve skin texture and tone. Healthy looking skin becomes more apparent with continued use. Recommended for sun damage, scars, stretch marks from pregnancy and wrinkles. 1.01 oz. ORDER TODAY! • Vitamin E Oil 21,000 IU: Specially blended Vitamin E Oil is fortified with apricot kernel oil which quickly absorbs into the skin, enhancing its natural suppleness. An ideal moisturizer and conditioner which promotes healthy-looking skin. 1.62 oz. ORDER TODAY! INGREDIENTS: Vitamin E Oil (Tocopheryl Acetate). Vitamin E Oil 30,000 IU, 1.01 oz. BODY OIL: Vitamin E Oil 30,000 IU, 1.01 oz. BODY OIL: Vitamin E Oil 21,000 IU, 1.62 oz. Emu Oil: Emu Oil is an edible grade, naturally contains Linolenic Acid (Omega 3), Linoleic Acid (Omega 6), and Oleic Acid (Omega 9) along with other Essential Fatty Acids. The application of Emu Oil will allow the Essential Fatty Acids to penetrate the epidermal layers of the skin down to the basal layer where it enhances new cell proliferation. The hyper-oxygenation of the fatty acid esters contained in Emu Oil increase the local blood flow in the areas of application, accelerating the healing process. There is clinical evidence that it contains a high level of Lenoleic Acid (Omega 6), a substance known to ease the discomfort of muscle and joint pain. Emu Oil is also rich in anti-oxidants which help to slow down the aging process and in some cases actually reverses it. It's anti-bacterial, hypo-allergenic and a natural non-comedogenic. Small Wonder it's a favorite among skin care professionals! • Emu Oil: 2 oz. ORDER NOW! • Emu Oil: 4 oz. ORDER NOW! BODY OIL: Emu Oil, 2 oz. BODY OIL: Emu Oil, 4 oz.